What is Mensa doing in the run-up to GDPR in May? Do you have experience in newsletter production? Is your company (and your work colleagues) intelligent enough to win this competition? Thanks once again to everyone who is hosting a social event this month. If you have any suggestions for walking routes over the summer months, plays or concerts at your local theatre, good pub quizzes, guest speakers, visits to places of interest, behind the scenes tours of your workplace or anything else please do get in touch with either myself or your Local Officer who would be delighted to hear from you. Doing something different to all the regular but popular eating and drinking events is always good. At the time of writing I’m trying to decide at what level of difficulty to set the quiz for our regional event as we have junior members coming as well as the current holder of the ‘brain of Mensa’ title. Somewhat of a dilemma! However, by the time you read this it will all be over and I hope those who attended at least learned some interesting trivia, enjoyed a nice meal, maybe won a raffle prize and made some new friends. Thanks to those who travelled from as far as Scunthorpe and Welwyn to join us for the buffet and quiz night. Welcome to the April Edition of Empress. I am back for the following three months. I am writing this editorial while looking through the window and enjoying the snowy views from the comfort of my home. I hope that by the time you read this edition of Empress I will be surrounded by flowering views. I can only hope! Now the weather is improving, clear up the winter cobwebs and join us in one of the many events happening this month. We also have three very different articles this month, starting with an Intelligent competition for you and your workmates. We have a vacancy as Regional Publications Officer and finally, how much do you know about how your personal data is stored by Mensa? Intrigued? Sit down, relax and enjoy the reading. Join us for our usual convivial third Monday of the Month gathering at the Cradock Arms, 201 Knighton Road, Leicester, LE2 3TT. We usually gather in the lower part towards the rear of the bar. Look out for the magazine or M-blem. For directions or encouragement please contact me on [Phone Number] or by email at [Email]. Our regular second Saturday meeting. Join us in the alcove of the Adam and Eve, 25 Lindum Road (opposite Pottergate arch) for a discussion around “Does hardship make a person stronger?” All welcome. Contact Jacquie on [Phone Number] or [Email]. for more details/encouragement. We return to an old favourite, Phoenix Chinese Restaurant, 18a-20 High Street, Lincoln, LN2 8DB. For more details/encouragement, ring [Phone Number] or email [Email]. Booking is essential so please contact Jacquie by Saturday 21st. How did you spend the Easter break? Come and tell us in the Goldings Room at the Vat & Fiddle pub (near Nottingham railway station and adjacent to Castle Rock Brewery). Alcoholic and non-alcoholic drinks available plus a range of conversation. Look for yellow Mblem on table. Contact Maxine on [Phone Number] or [Email] or just turn up on the night. New faces welcome! Join us for a meal or later for just a drink at the Cadland, High Road, Chilwell, NG9 5EG. Look for yellow Mblem on a long table to the far side of the bar. Further details from Maxine on [Phone Number] or [Email] if needed or just turn up and say hello. A return to the popular Gino's Italian restaurant, Church Street, Ruddington, NG11 6HD. See menu at www.ginos-nottingham.com. 20% discount for diners ordering a starter and main course. Book your place with Maxine on [Phone Number] or [Email] by 20th please. Our usual breakfast/brunch meeting will be on Sunday 8 April at 10:30 at the Rendezvous Coffee Shop in Market Walk in Northampton Town Centre. We'll be recalling the best Christmas/birthday present we ever had. Contact Marianne on [Phone Number] or email: [Email] for encouragement. Will spring be in the air? As ever, we are at the Three Magnets, Leys Avenue, Letchworth! Thursday nights are curry nights but other food (standard Wetherspoons' fare) is available as well. Leys Avenue is the main shopping street in Letchworth and is a few minutes' walk from the station (Kings Cross to Cambridge line). Call me on [Phone Number] for more details and encouragement. As ever, we are at the Cowper Arms, Digswell. The pub is next to Welwyn North station and is served by stopping trains from Kings Cross to Peterborough and Cambridge. Good food, beer and conversation guaranteed! Please call me on [Phone Number] for more details and encouragement. Join us for a lakeside/redway walk around Mount Farm/Ashland, followed by a pub lunch. Meet in the car park of the Inn on the Lake, Bond Avenue, Mount Farm, at 11am. Please let me know if you are coming so I can book a table. Contact Jo at [Email], or [Phone Number] / [Phone Number] for directions/encouragement. Our monthly quiz outing to The Barge at Woolstone. Meet from 8.15 for a 8.30pm start - cost is £1 per person. Please let me know if you are coming so I know if we will be one team or two. Contact Jo at [Email], or [Phone Number] / [Phone Number] for directions/encouragement. Join us from 10am at Brown's, on Midsummer Blvd next to Jury's Inn, for a full breakfast, a snack, or just a drink - look out for the Mblem. Contact Jo at [Email], or [Phone Number] / [Phone Number] for directions/encouragement. Join me for lunch on Easter Day at the Golden Cross in Saunderton, HP14 4HU. Location and further details at http://www.goldencrosspub.co.uk/ Please contact me on [Phone Number] or e-mail me at [Email] by Thursday 22nd March so that I can book a table. Find us on a long table in the rear low ceiling area of the Standing Order on Iron Gate from 7.30pm until late for food and/or drink. Usual Wetherspoon menu plus chicken club tonight. Contact Maxine on [Phone Number] or [Email] or just turn up on the night and look for a yellow Mblem and happy faces. A traditional afternoon tea to celebrate the Queen's birthday. Venue is Beaurepaire Patisserie, King Street, Belper, and we have their parlour on the top floor for private use. Cost £14.95 per person including a selection of finger sandwiches, salad garnish, homemade cakes, scones with jam and cream plus unlimited tea or coffee. Numbers strictly limited and pre-booking essential. Contact Maxine on [Phone Number] or [Email] to reserve your place. This is a shorter version of the info carried in Jenny’s Mensa Matters column in the March Magazine. The General Data Protection Regulation (GDPR) becomes law on May 25, meaning organisations which use and store personal data – like Mensa – now need to get explicit permission from people about how that data is handled. It will no longer be able for an organisation to assume that if someone has ticked the terms and conditions on a website, they are OK with their email address being used to then try to sell something. Quite a bit of preparatory work has already been done on the Mensa database to prepare for GDPR, but between now and the implementation date you will be asked for your permission on the use of data. In practice, not a lot will change. Mensa doesn’t hold a huge amount of personally-identifiable data as it isn’t relevant to the way the society operates – and Mensa never shares your details with third parties. The main change for Mensa is in how you want us to make contact with you. There will still be essential contact regards your membership status. This will not change and applies to all members. Members will, however, in future be able to state their preference as to how they want to receive information about society news, events etc. In the coming months, whenever you make contact with the society, such as logging into the website or phoning the office, you might be asked to state your preferences. You might also receive an email. It might seem a little annoying, but it is for your benefit – so if you could complete the consent process when you see it, it will be a huge help! GDPR doesn’t cover data that is legitimately needed for the day to day running of the society, but it does give you control over how the society contacts you. There is one important point members need to be aware of though, before giving your consent in one particular area. GDPR allows individuals to ask any organisation to delete all their personal data from the system – if you were to choose that option, there would no longer be a traceable record of your test scores so, if at some time in the future you wished to rejoin . . .you would have to retake the test! Keith Brough was a volunteer newsletter editor in different regions and then stepped up to take on the role of Regional Publications Officer. After many years of helping to recruit and develop new newsletter editors, Keith has stepped down and we are looking for someone to continue the good work that is produced by our regional editors. The editors sometimes need help, advice or someone to share suggestions with. So, the ideal candidate will understand the editorial process, have some knowledge of desktop publishing, formatting and other presentation skills, be able to work in a team, to support, guide and motivate others, have good interpersonal skills, be able to communicate clearly and effectively and be able to deal with conflict and challenge in a positive way. There is also an annual editors’ conference that the RPO plans with the communications manager and magazine editor for training and development. If you are interested in learning more about this position as a Mensa volunteer, do please send an e-mail to applications@mensa.org.uk for the Job description and application form or look in the members area ofwww.mensa.org.uk in the news section for the advert and download the forms. British Mensa has agreed to work in association with the Intelligent Company, founded by Hungarian Mensa member Gábor Rutai, on a new initiative in the UK called the Intelligent Company of the Year award. 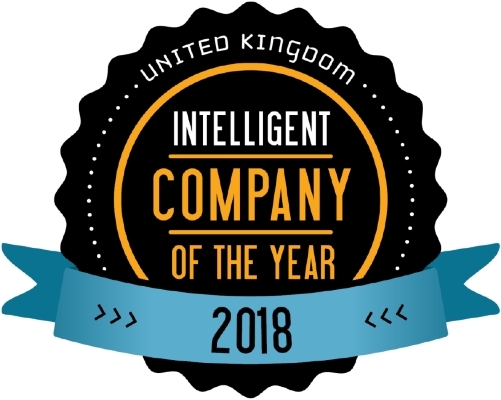 Any business or organisation that is based in the UK and has five or more employees is eligible to enter the contest for the title Intelligent Company of the Year 2018. The company running this competition launched a similar award five years ago in Hungary and has enlisted such well-known enterprises as Nokia, Ericsson, Vodafone, Morgan Stanley and Hewlett-Packard as well as key players of the local SME sector, each in their respective category. It is a unique opportunity to raise awareness of British Mensa and invite high performing individuals to consider joining the society. The contest comprises two rounds: an online test in the first one, followed by a second, in-house test for the best performing teams. Mensa members and previous test-takers can make up to 50 per cent of team members, contributing their Mensa scores to their team’s overall results. British Mensa members are encouraged to enter their business in the competition or draw their employer’s attention to this opportunity. Applications are open until the end of May but the sooner you enter, the higher up your name will be among the contestant list on the website. The Intelligent Company hopes to see as many as 200 companies entering the competition this year with the ambition of making this an annual event. Visit intelligentcompany.co.uk to apply and/or for more information. Did you know the answers to the sports questions from the February issue? They were Uruguay, 300cm, 1977, Mark Selby, gold, 3 points, Aga Khan, St Moritz, 3, Dionico Ceron, Jamaica, the equestrian jumping team of Harry Llewellen/Duggie Stewart/Wilf White, Fijian, Leicestershire, Putney bridge, 16, Greg LeMond, Canada, 9 and Stanley Matthews. Congratulations to Helene Parry of Brentford who wins the £10 book token. 1. Normal adult dogs have how many teeth? 2. Through what part of the body do dogs sweat? 3.	Who wrote the novel ‘The Hundred And One Dalmatians’? 4. What is the most common one word training command taught to dogs? 5. What is the name of the dog act that won Britain’s Got Talent in 2015? 6. Puppies are normally delivered after how many weeks of gestation? 7. What is the favourite dog breed of Queen Elizabeth II? 8. What was the name of Dorothy’s dog in the ‘Wizard Of Oz’? 9. Which dog breed is the smallest in the world? 10. Which breed was once known as St John’s Newfoundland? 11. A puggle is a cross between which two dog breeds? 12. What is the name of Mickey Mouse’s pet dog? 13. Which dogs yodel instead of bark? 14. Dalmatian puppies are born which colour? 15. Since 1991 Crufts dog show has been held in which British city? 16. What is the name of the dog on the HMV logo? 17. The Chihuahua originated in which country? 18. How many chambers are there in a dog’s heart? 19. Which dog breed has a black tongue? 20. Gromit lives at which address?